@vaderito wrote: @rey09 Nobody knows. It could be just a cool new alien from either Crait or Ahch-to or it could be a Force spirit. I don't follow Rebels but I see in comments that Ahsoka became a wolf/fox or something, can someone explain? or maybe the wolf is Ghost, Rey is Jon and Kylo is Daenrys. Funko's are adorable! Luke and Kylo look like uncle and nephew, what's with furrow brows and flowy hair! I hope Rian and JJ keep Filoni stuff far, far away from The Saga. I can't with that man's writing. I think the Rebels wolves look completely different from that crystal fox. They might both be some mystical animals, but I don't think they're the same. But I'd love there to be some small overlap in lore. Don't forget that a lot of stuff in TCW came straight from Lucas himself... and of course Rebels was made concurrently with TLJ, so - if they wanted to - they could easily allude to things that will come up in the films. I'd like there to be some things scattered here and there that connect the whole new canon. Films, books, comics, cartoons and all. Otherwise what's the point of bragging about a coherent canon? @Darth Dingbat wrote: I think the Rebels wolves look completely different from that crystal fox. They might both be some mystical animals, but I don't think they're the same. I expect a couple of SWR call-backs in TLJ. SWR did have the crossguard lightsaber as a callback to TFA. I don't think it's going to be big things, but yeah, what is the point of building a new canon if you don't connect the different stories. If I hear the name Kanan in TLJ, I'll scream. Yeah the SWR wolves are different. They are huge too. I think I read somewhere that they are from Lothal - the big white one in the trailer for season 4 is with a white Loth-cat too - and I doubt Lothal will be featured in TLJ. Wolves and cats that are receptive to the Force. I hope we get force-receptive creatures in TLJ. 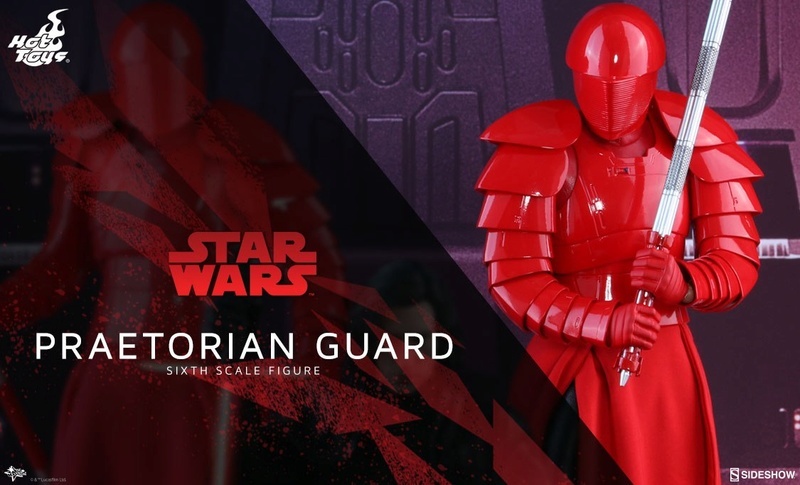 The Praetorian guard designs are truly amazing! @vaderito that doesn't look like the tie silencer, the cockpit is too round. That's an OT Tie Interceptor. You are right. I just woke up, can't pay attention to details. Am I the only one who's already tired of the Praetorians? @Darth Dingbat wrote: Am I the only one who's already tired of the Praetorians? Definitely not. I want more Knights of Ren, dammit, not these shiny red toilet brush holders. Count me in as disappointment in the lack of KoR. My take on it is that they were something that existing in the past, but are either dead, disbanded or no longer around. I realize that there's only so much screen time available with all the new characters, and I'd much prefer Rey and Kylo fill that up over the KoR. I'm guessing (and this is just that - a guess) that the Praetorians evolved from them. @IoJovi wrote: Count me in as disappointment in the lack of KoR. My take on it is that they were something that existing in the past, but are either dead, disbanded or no longer around. I realize that there's only so much screen time available with all the new characters, and I'd much prefer Rey and Kylo fill that up over the KoR. JJ liked the KoR. Remember he said he wanted a KoR movie. Maybe the KoR will return in IX as Kylo's "Seven Samurai type" buddies who will join the fight for him. You never know, lol. One of the main reasons why I got REALLY excited after finally seeing TFA and then binging on all the press coverage was Kasdan in the WGA talk/podcast talking about Kurosawa and the KoR. So if the third film has to come down to JJ, goddammit I expect to get my KoR finally! LOL at the Praetorians look like toilet bowl cleaners because I did just see a pile of their Funkos (and dumb question, but WTF are Funkos and what's the big deal? I live in a world where nobody I know cares about them) in the pharmacy next to the cleaning products section. @snufkin wrote: One of the main reasons why I got REALLY excited after finally seeing TFA and then binging on all the press coverage was Kasdan in the WGA talk/podcast talking about Kurosawa and the KoR. So if the third film has to come down to JJ, goddammit I expect to get my KoR finally! 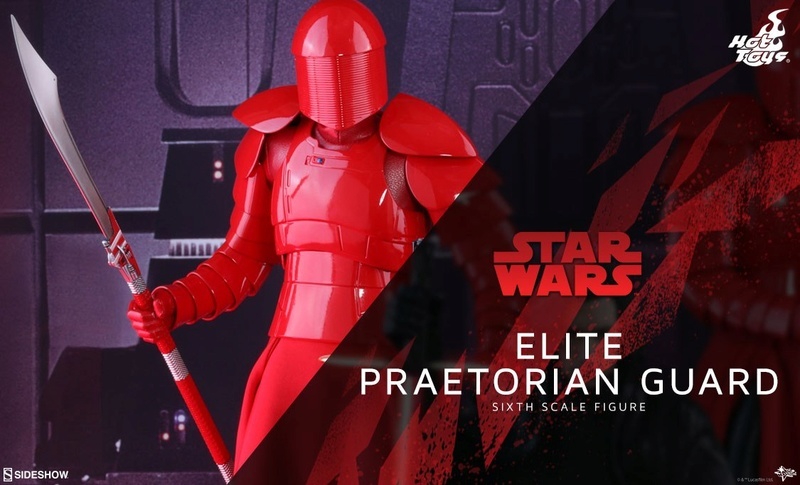 LOL at the Praetorians look like toilet bowl cleaners because I did just see a pile of their Funkos (and dumb question, but WTF are Funkos and what's the big deal? I live in a world where nobody I know cares about them) in the pharmacy next to the cleaning products section. 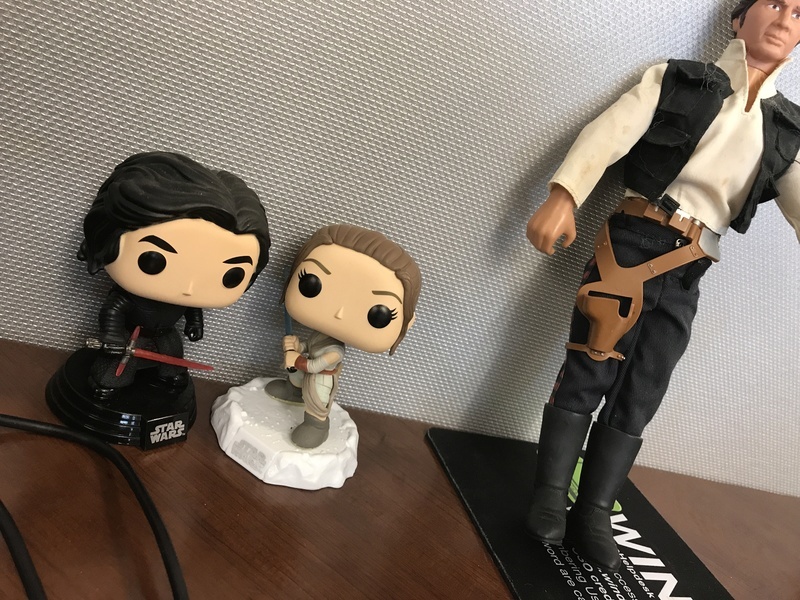 Funkos are bobbleheads. 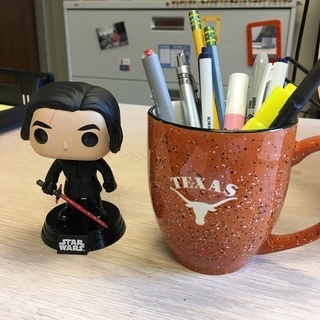 I have a TLJ Kylo on my desk at work Some people collect them and have a whole shelf. You can get all different shows' characters (Harry Potter, Stranger Things, Marvel Heroes, etc.) There are a ton at my local Barnes and Noble, who strangely has a large toy section now. The Praetorians are the least interesting Funko IMO. Who was it that said their helmets look like humidifiers? @Cowgirlsamurai - I think they look like humidifiers! I'm familiar with bobbleheads from basketball and baseball, so guess these are nerd bobbleheads? Yeah bring back the KoR, because right now it sounds like something dumb Snoke made up to make Ben feel like he's important when it's more like King of the Dips**ts. Like not nearly as impressive a title if it's for an imaginary group. @snufkin wrote: @Cowgirlsamurai - I think they look like humidifiers! I'm familiar with bobbleheads from basketball and baseball, so guess these are nerd bobbleheads? The KOR are more unique, no? Rian keeps going on about how this is not like Empire Strikes Back, but then ditches the KOR for red guards like the Emperors? I don't get it I wanted to see Kylo's posse!